I first met Peggy Fiandaca at an Arizona Wine Growers awards banquet when she was the President of the Arizona Wine Growers Association and making wines that were already gaining recognition. 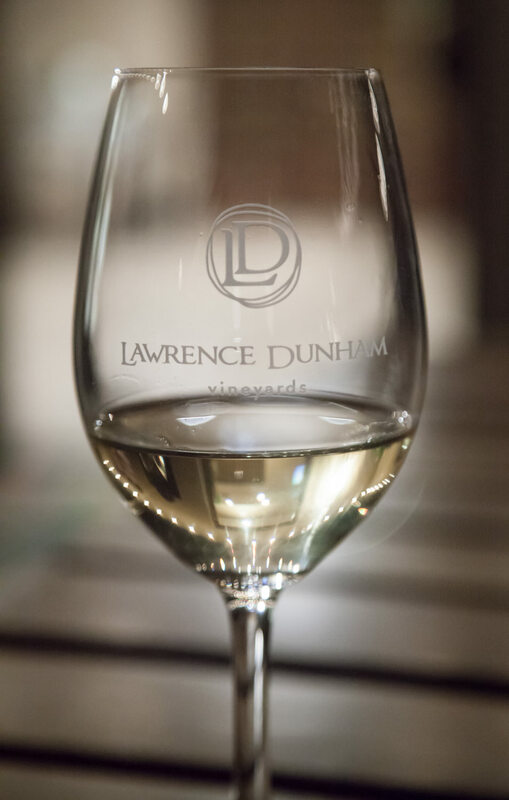 Since then, Lawrence Dunham Vineyards has gone on to win more medals and recently opened their Wine Gallery and tasting room in Old Town Scottsdale. How did Peggy and her husband Curt use their experience in the field of urban planning as a jumping-off platform to become award-winning wine producers? Follow along as she describes the journey. I know you and your husband own a successful urban development company. Was wine always an interest? Curt was the one interested in wine originally. I remember when we were dating. I showed up one day thinking I was really cool with a bottle of wine…a white zinfandel. He liked the fact that I at least brought wine! He thought, hey, I can work with that. Over the years, we’ve become wine collectors. We have a 2000-bottle wine cellar in our home. How did a hobby become more than collecting? We were approaching 50 and had been successful in our other career, which we are still involved in. We thought, we don’t have children, what’s our next chapter. Do we retire? Do we invest? We enjoy golf so looked into golf clubs or golf courses, but decided we weren’t the country club type. We looked into real estate too, but decided against that. How did you end up vineyard owners? Keeling Schaefer. I’ve known Rod and Jan for almost 30 years from our community and economic development firm. They retired and bought their property in Pearce. “We started this little winery,” they said, “come visit us.” But we were wine snobs! We were actually making every excuse not to go because we hadn’t tasted an Arizona wine. We kept putting it off and when we finally decided to visit, we wouldn't even commit to stay the night. Our plan was to go for lunch, taste their wine, and go home. Well, their property is absolutely beautiful. We drove there, ended up having a wonderful time, and the wine was really good. On the drive home, I don’t think we actually talked until Tucson. We were both in our own heads thinking. And then in Tucson, we discussed it. “Hey, maybe we should just buy 5 acres and hold onto it.” We still didn’t think we were going to go into the business, but thought if Rod and Jan could make this wine and grow those kind of grapes, this will take off because others are going to come. This was about 9 years ago. We got our realtor the next week and drove down again. We told her that we were interested in 5 acres, that’s it, and we spent the whole day looking at properties. At the end of the day, our realtor says “I have this white elephant property” and convinced us to look at it. It turned out to be 40 acres with a big house. We certainly didn’t need another big house. There was a metal building being used for heavy equipment storage with a huge patio perfect for a covered crush pad. It was kind of ideal; just add grapes. But it was very over-priced, more than we were looking for, and we looked for any excuse to say no. We did the soil testing, we did the water testing, and everything was a go. We made a really low bid and were in negotiations for months, but we were able to settle. We had to clear the land because it was all mesquite trees. There was no agriculture on this property at all. They had a little area for horses, but that’s it. We pulled out about a thousand mesquite bushes and had to put in irrigation. My husband’s family has been in farming, though he hasn’t, but he has a green thumb. So we went from August of not ever, ever thinking of being in the business, to owning the property and celebrating Thanksgiving that year at the winery. It sounds like things fell into place. Yes. It takes a year when you order your grapes. You order your plant and they put them in the ground in California in the nursery. You choose the right rootstock for your particular piece of property and whatever varietal you want. Well, someone defaulted on the exact rootstock and the exact varietal – Petite Sirah – that we wanted, so we were able to have grapes in the ground by that spring. So from August looking at property, to Thanksgiving moving in, to the following spring, we already have grapes in the ground. You know how some things just seem meant to be? Everything just kept lining up, and we’ve been running ever since. We had grapes the second year which is almost unheard of. I think it’s where we are, at the foothills of the Chiricahua Mountains. The soils are incredible and the weather that comes off the mountains is just so beneficial for the grape growing. We have 20 acres that are in Ash Creek so the vineyard flows to the creek. It drains so beautifully. Rod and Jan have a similar story. Their property is incredible. Rod and Jan were the pioneers for that area and our mentors, and then we came along and they were very helpful in giving us advice. What an inspiring story. We’re having fun. We’ve always lived our life like this, where nothing’s planned, it just kind of happens and you just go with it. We actually met, started dating and after a short time had moved in together and started a company. We've been together 24 years and that’s the company we still run together. We respect each other and we both have different skill sets that complement each other, and we’ve carried that into this business too. All our qualities mesh. It sounds like a great partnership. I jokingly told Curt, you can be the winemaker, but if you’re not good, you’re fired. He thought he had plenty of time to really learn wine-making, but then we had a commercial crop in two years. He has an incredible palate. He's the type of person who can dissect a meal and pick out all the nuances. And while there are a lot of people who can do that, he also has a memory for it. He can tell you exactly what was in a meal in the Burgundy region of France seven years ago and recreate that. So it has been very helpful. He starts picking the grapes, tasting them, and thinking about that final product months ahead of time. Once he’s thinking about the grapes in the field, he’s thinking about the barrel. We use new French oak barrels, we use new American oak barrels, we have Hungarian oak barrels. Curt chooses them for the profile. We also age our wines for a long time to soften. You’ll notice in the Petite Sirah, you’ll pick up the soft mouthfeel and that only comes with aging. I think we age ours longer than most since it’s more expensive to age your wines that long. We have our grapes two years in the ground, mostly three years, and then we age for 24 months, so that makes five years already into producing that wine. Tell me more about your wines. Our Syrah is the first estate-grown Syrah we've released. It's aged 28 months in 1-year old American oak barrels. It’s very versatile. You can have this with just a charcuterie platter with some big bold cheeses or food that has body, like slow-roasted beef short ribs or a lamb burger. 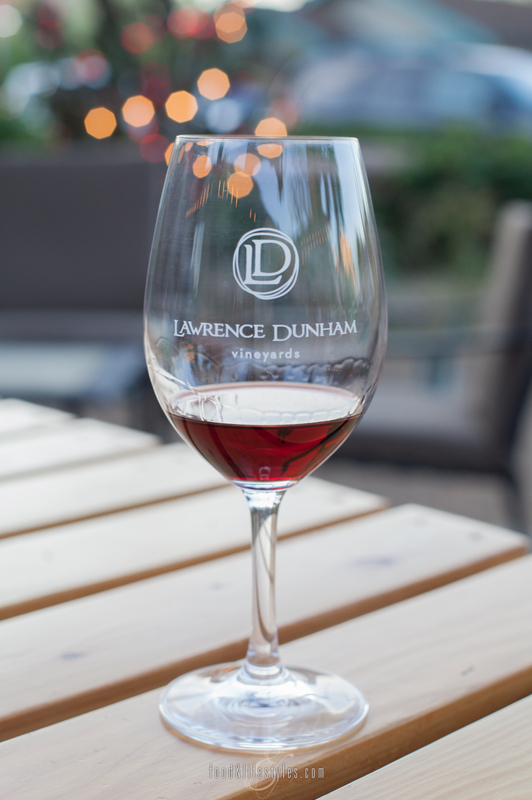 Our Petite Sirah is called The Signature and it's what we’re known for. It just grows so beautifully. It's 100% Petite Sirah and a big wine so it takes 36 months in the barrel to smooth out. Grenache seems to be Arizona’s grape, but my favorite varietal that we grow is Petite Sirah. We also have some interesting wines coming out by the end of the year. One of them is called the Epilogue. It’s our dessert wine that we’ve had in the barrel for 36 months. It’s our first dessert wine and more like a port, so we’re pretty excited about that. It’s not quite ready to bottle, but it's getting very close. How did you come up with the name and label? Lawrence is Curt's mom's maiden name, and his last name is Dunham. The label? Well, I thought it was going to be so fun to create the logo, right? I had this big notebook with our philosophy, our story, our likes and dislikes, pictures, and label ideas. Well....three graphic designers later....we didn't like anything. We wanted clean lines and something contemporary that reflected what we are and the connection to the wine. The final designer presented us with five different designs and it ended up being so simple. It's just three circles, but it resonated with us. The first circle represents the ancient people that worked our land, the second circle is us turning that land into grapes and recognizing our stewardship, and the third circle is us turning those grapes into wine. So we were thrilled and had labels and cards made up. Then I handed my business card to someone who said, "it's three circles, just like your other business." Yes, three circles in a different configuration! Neither one of us had realized it. What’s your philosophy? Our vacations have always focused on collecting wine because we wanted to know the actual winemaker and sit down with them, so we searched out these really small producers. Our idea was to be able to have a story behind all of our wine bottles in our wine cellar, so we could pull one out, and tell a tale. That’s what attracted us. That’s what we love. We have experiences where we’ve sat at a backyard picnic table and the winemaker was filling our cups - not even wine glasses - and they were phenomenal wines. If we open up a bottle of Brick House pinot from Oregon, we remember the stories the winemaker was telling us and such a great time that we’d still be there today. We're always about the experience. You can go to the grocery store and pick up a bottle of wine and never have any connection to it. We had always thought, naive as it may be, that we wanted anyone who picked up our wine to know about us. We want them to know our story so that if they pull out our Syrah for someone special or to celebrate an occasion, they can say “I met Peggy” or “I met Curt” or “I know something about them and that’s why the wine in this bottle is made the way it is.” That's very important to us, and that’s what we’re aiming for. Follow here for part two of my interview with Peggy Fiandaca and the LDV Wine Gallery.